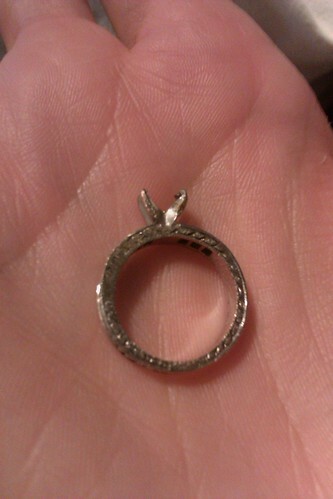 Tuesday night I lost my engagement ring. I had taken my rings off in the Pilates room Tuesday night and put them in my purse. After working out I went to HEB and then Home Depot. 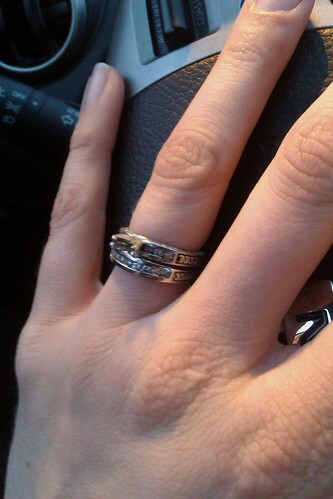 On Wednesday morning I went to retrieve my rings and only 2 of the 3 were in there. I immediately dumped everything out of my purse. I didn't find them, but did find that a lotion bottle had opened in my purse and leaked on everything. I did a quick search in the car because by now I'm running late. I got to the gym and asked if anyone had turned it in - nope. I checked the Pilates room. Nope. By now I had already told John about it. I called HEB and Home Depot and no one had turned it in. I called them both again before I left work and still nothing. I got home and tore apart the bedroom in case it had fallen out while I was digging around in my purse. Nope. I did an entire search of my car and came up empty handed. 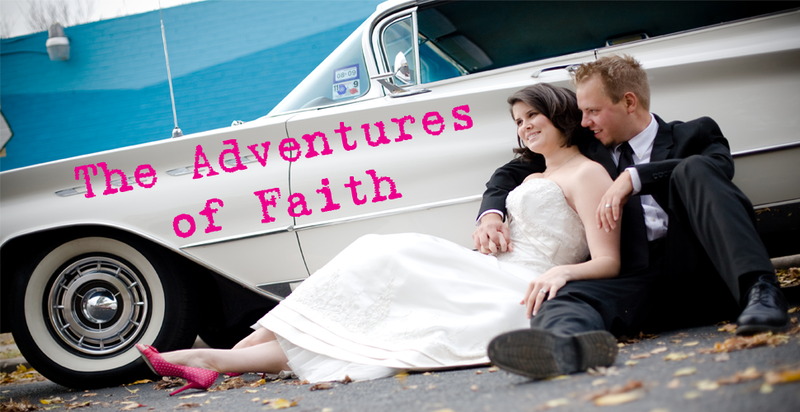 Then I took John with me and we searched the parking lots of HEB and Home Depot. Still nothing. This morning I called both stores again. Nothing. I was SO SAD about losing it. I had put my rings in that same little pocket a million times and had never lost any of them. I didn't think I would be so depressed about it, but I was. Despite John trying to cheer me up I was still sad and mad at myself. So when I got off work tonight (rather late) I decided to pop into Home Depot to see if I could find it - even though it's a huge store and we're now a full two days from when I lost it. I swore that if it had fallen out of my purse anywhere it was there. I had gone there on Tuesday night to pick up a few more bags of topsoil. I hadn't leaned down to pick them up with my purse on though. I had set it on a shelf (no one was around) while I loaded several bags into my cart. 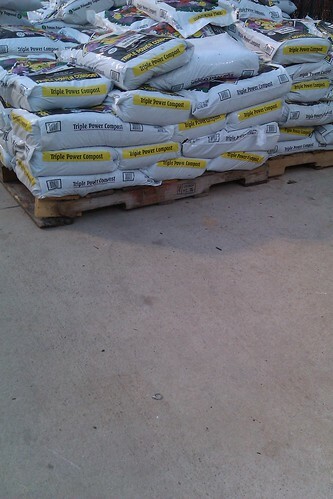 Tonight when I got to the store I saw they had added additional pallets with more soil. I thought there was no way I was going to find it, it had been crushed by a pallet. Then I looked down and there was my ring. Right there in the middle of the aisle. I'm not kidding. It was in the middle of the main aisle of the outdoor section of Home Depot. I snatched it up, put it back on my finger, searched for the center stone and eventually left the store in total shock. but I have it back. Oh my gosh! What a crazy story! 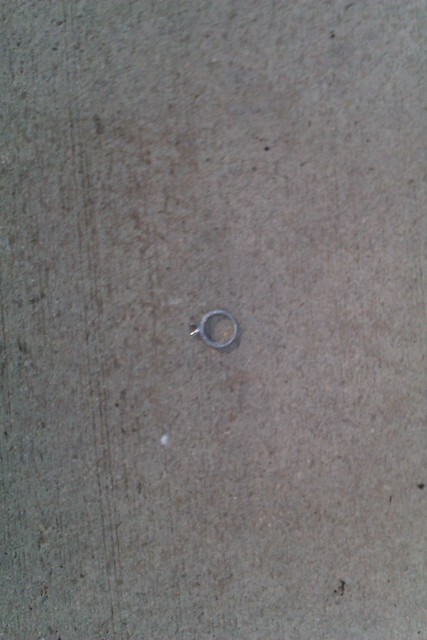 I'm so sorry you lost it and then ended up with a crushed ring! Are you happy you find it even though it was crushed or do you wish you never found it? Crazy!! Sad the stone is gone, but I'm glad you got the ring back. That's bananas! I'm glad you found it, will your insurance cover to have it fixed and the stone replaced? We'll be able to fix it hopefully. I haven't taken it in just yet. Even if they can't and I have to totally replace it, I'm glad that I have it back.